The suicide of killer Harold Shipman 'could not have been prevented', but raises questions, a report says. What motivated the family doctor turned serial killer? A full list of the patients killed by family GP Harold Shipman. Inquiry into Harold Shipman says three of his victims could have been saved. 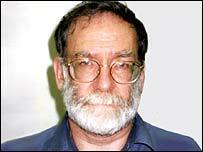 The families of Shipman's victims may never know the full extent of his crimes.